First let us look at the simplest way. The GeneratePassword method of System.Web.Security.Membership class simplifies the password generation. As you can see from the above screen, these 2 simple lines of code generated a random password of length 8. The GeneratePassword() method takes 2 arguments. First one is length of password and second one is number of non-alphanumerics you want in the random password. In my example, I have provided 8 as password length and 3 as number of non-alphanumeric characters I need. You can use this approach to generate as many number of random passwords you want. Look at the below example. There are other ways available as well. I am sharing some of the links that I came across. Hope this article helps. Let me know if you come across any easy and better way. Information in this article helps you to query a certificates expiry date, issued date, subject, issuer and other details remotely using PowerShell. Another good thing is, you don’t need admin rights to do that. There are cases where you want to continuously monitor validity of a certificate remotely. For example, you have a bunch of web servers for which you want to monitor the certificate used by Web Service or you have a rest API which is using SSL cert and you want to monitor and alert when it expires. This script will solve such issues. 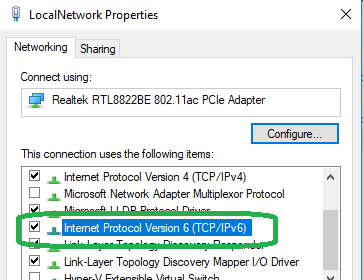 Since this script relies on TCP steam data to validate the certificate details, it doesn’t need administrator rights on remote computer. ComputerName : It can be a single computer name or list of computer names separate by coma. Port: Port number on which your application listens. For example 443 for HTTPS application. This parameter is optional and defaults to 443 when not specified. ExportToCSV: This switch parameter helps you export the output to CSV file for your convenience. Copy below code to a file and save it as Get-SSLCert.ps1. Write-Warning "Unable to get cert details for `"$Computer`". $_"
Query certificate details of single web server. VMware ESX host stores good amount of information about Hardware and it sensor’s values. These values are extremely useful in troubleshooting any peformance/hardware issues. In this article, I will show you how to query these values using PowerCLI. This function assumes that you already connected to VCenter. You need to provide list of VMhost names as parameter to this script. The script also takes optional -ExportToCSV in case you want to export the data to CSV file for further processing. Write-Verbose "Fetching data from $VMHost"
Using this code is very simple. First open your PowerCLI and connect the VCenter using the credentials that can query the host information. Then copy and paste the above function to the PowerCLI shell and start running commands below as per your needs. We prompt for credentials in many of our scripts. Have you ever wondered if the entered credentials is right or wrong? It is always good idea to verify that entered credentials is correct before proceeding with further execution of the script. The function discussed in this article will provide a easy way to verify if the entered credentials are valid or not. This function uses classes and methods in System.DirectoryServices.AccountManagement name space, especially ValidateCredentials method. The Test-ADCredential function takes PSCredential argument as input. This is optional one. 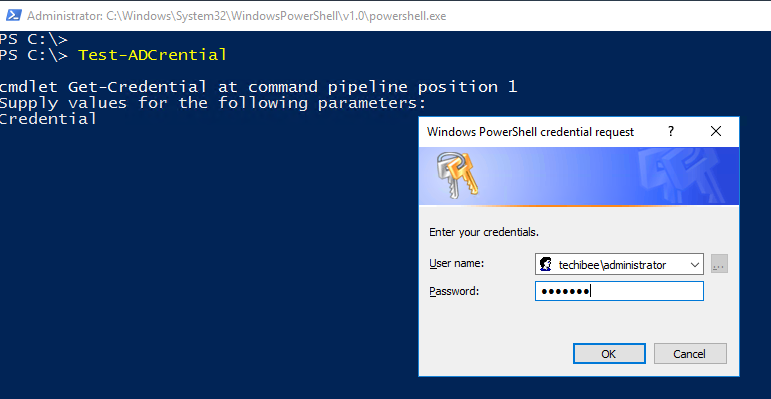 If you don’t specify it, a prompt will appear for you enter the credentials. That means we can use this function in our scripts as well as for adhoc testing needs. throw "You haven't entered credentials in DOMAIN\USERNAME format. Given value : $($Credential.Username)"
Write-Verbose "Credential validation successful for $($Credential.Username)"
throw "Credential validation failed for $($Credential.Username)"
Write-Verbose "Error occurred while performing credential validation. $_"
Run the function by passing credential object as argument and it will return the output straightway. Do you have any questions about how this function works? Please write in the comments section, we will get back on that. Today’s post is about finding today’s date and time using Python. This script queries local system for today’s date and time in local time zone. We will be using python built-in module called datetime for this purpose. This module has a function called now() which will return a date time object. Let see how it looks like. If you execute above lines of code from Python REPL, you will see that it returns a date time object as shown below. As you can see in the output it returned datetime in object format. It is very convenient to use this object if you are going to consume this further in your scripts. However, at times we want to print the time that humans can easily understand. For example, you want to print date time in MM-DD-YYYY format. To do that we can use strftime() method which is available on the datetime object. Let us see how to use it. Execute the above code form repl and you will see the below output. 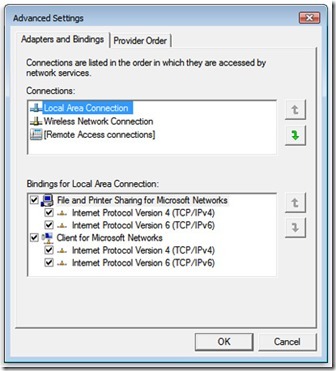 How to find NetBIOS name of a Active Directory domain if you know the FQDN is something we will explore in this post. There are multiple ways to achieve this and let us see two of the popular and easy ways to do it. We can get this information using two ways. To use this cmdlet you should have ActiveDirectory module installed as Get-ADDomain is part of this module. Once the module is imported with Import-Module cmdlet, you can get the NetBIOS domain name by passing FQDN as shown below. Do you know any other easy way? Please write in the comments section. It will be added to this article.